Today’s interview is with Doc G from Diverse FI. I am 44 years old and my wife is 42. We have been married 18 years. We have 2 kids: 13 and 10. We live in the suburbs of a Midwestern city. I am a physician and own my own general internal medicine practice. I am a medical director of a nursing home. I am an assistant medical director of a hospice company. I am an expert witness. I also consult on training and teaching of nurses, nurse practitioners, and physician assistants. My first physician job, I was paid $120,000 a year. I worked extra hard and made $250,000 after a few years. Eventually I decided to stop working for a medical group, and joined another physician in partnership. My salary increased to $400,000. Finally, I started my own concierge practice and maxed out my compensation at $950,000 a year. Since then, I have found the FI community and have started to pull back. I have purposely dropped some lucrative opportunities to enjoy life more. My wife has been working at the same company for the last twenty years. She started at $40,000 a year and now makes $150,000. I think you have to innovate. To go from X to 5X you must not be afraid to travel down multiple diverse avenues, not be afraid to fail, and most of all…never let someone tell you that you can’t do something. I answer phone calls 24 hours a day. I see patients 6 days a week. I begin work every weekday morning at 5:30 am and I get home most days by 2pm. On Sunday I see patients before the children awake and return by 8:30 am. I am almost always home when my kids return from school. We generally eat dinner together as a family. Most family time is interrupted by short phone calls lasting 30 seconds to 1 min from time to time. My wife works more traditional 8am-5pm hours. Our previously mentioned rental properties return about $55,000 a year. We spend roughly $175,000 a year. We do not budget but are very cognizant of how we spend money. Even in the beginning of our careers, we always saved one of our salaries. As our income has grown, we have begun to save 40-50% of after tax income. Vacation. We go to Mexico often and have started taking trips with the kids to Europe. Restaurants: We eat out at a nice restaurant once per week and then fast food (healthy) for lunches on the weekends. We adhere to the three-fund lazy portfolio and use Vanguard. I fired my investment advisor because the allocation was too stock heavy and the ERs were too high on mutual funds. We try to keep at least a third of our wealth in investment real estate (not reits). We bought a house for $400,000 in foreclosure. Fixed it up for $40,000. Rented it for 3 years (making $15000/yr) and then turned around and sold it for $705,000 without paying any realtor fees. Our own home. Your home is not an investment! Generally our returns in the stock market for the last 10 years have been around 9-10% after accounting for my advisors AUM fee. I no longer have an advisor. I monitor daily but change infrequently. We have been very lucky. I graduated medical school with no debt and we paid off my wife’s college debt quickly. Thus, we were able to save a huge percentage of our incomes from the very start. We generally live well below our means compared to others in our income category. We are frugal but willing to spend money on what we care about. We also, very early in the game, got the real estate bug and took advantage of the downturn and bought a few properties in foreclosure. We are generally slowing down and trying to focus less on income. My wife will likely be retiring soon, and I expect to pull back from work quite a bit over the next few years. Our goal is to make enough to cover our yearly expenses and never touch our investments. Not really. Maybe 10 Million. My net worth probably crossed over a million sometime in my early thirties. My behaviors have not changed much since then. I have two kids now, and spend on them accordingly. If you could rewind to when you first started out, what would you do differently? I would have studied personal finance more and not hired a financial advisor. Study and learn about personal finance when you are young. Never outsource your money. No one will manage it as well as you. My wife and I plan to slow down and work less, travel more, and enjoy the kids. We are concerned about healthcare if my wife leaves her job. I grew up with an accountant and a businessman as parents. They owned multiple properties and ran a number of small businesses. We try to give every year to my daughter’s school and the ACLU. I’m not sure. I will probably expect my kids to earn their own way and leave money to my grandchildren. Great interview by a great Doc! Fascinating the road you have taken, Doc G. I think it is wise that you backed off, despite the massive income, to focus more on family and life/work balance. I bet that has paid dividends at home. Coming out of medical school with no debt really does put you ahead quickly. The average student is coming out with $189,000 right now (which is better than dentists at >$250,000). This goes to show that when you don’t take the massive jump in lifestyle when you finish training, that you can create wealth rather quickly. What would be your specific advice to those coming out of medical training with less than average debt? Do you think it’s the same as for those with massive debt? (Keep costs down, save a good amount of your income, etc?) Or do you think they can afford the lifestyle creep after training if they came out with minimal debt? Good post. Really enjoyed it! Hey Physician Philosopher. I think Jim Dale over at The White Coat Investor has it right. Whether debt or no, you have to live like a resident for several years after your are making an attending physician. You are already used to having nothing. These beginning years are so important in building a base. Great interview Doc, congrats! You’ve clearly aced the game and I agree that you should pull back. But you obviously love medicine so all in due time. Love your blog and really appreciate you reading mine! Hey Accidental FIRE. Thanks for your kind words. Your blog was part of the inspiration to start mine (I even came up with the same name). Thanks Tom. We really tried to maximize, especially at the beginning. Interesting schedule maximized for spending quality time with kids, I like it. It’s also nice to meet another FI person without the solid RE. Is there any reason of expecting kids to DIY and focus on leaving money to grandchildren? Literally just curious. I’ve thought of that too… because if I raised them right they wouldn’t need me to leave $$… righttt? I think my job is to pay for the kids college and provide a supportive learning oriented environment. I think they need to find their way financially by themselves to be happy. I did receive some inheritances from my grandparents and hopefully will do the same for my grandkids! You are diversified in your income, get to spend time with your family, and starting to focus on some of the expenses you have. I’d love to hear more about your travels – sure it is expensive to travel with 4 people though! Travel is definitely a part I have been slacking on. We go to Mexico at least once a year. My wife has taken the kids to Spain and Italy in the last few years but I wasn’t able to go. Looking forward to ditching work and doing more of this soon! Very impressive Doc. I’m curious, considering your current resources if you have any regrets not cutting back on the hours sooner. I actually like working, so I don’t have major regrets. I did miss out on some great international travel (I missed trips to Russia, Montreal, Spain, and Italy with my wife). I’m am going to remedy that now! Wow, you are a machine. How do you find time to sleep with all of those high profile responsibilities? I guess that explains your high net worth at such a young age. Your interview was highly motivational. Thanks for sharing it with all of us. Very impressive Doc. Question – Can I ask what the funds that you own? (three-fund lazy portfolio and use Vanguard.) Thx. Glad to hear you plan to slow down a bit and enjoy the family, Doc G! Congrats on all of your accomplishments. We enjoy following along on your blog. I appreciate it. I read yours regularly! Fantastic interview. I am amazed that you got through med school with no debt. You need to write a book/posts on how you did it. Congratulations sir for your continued success. Congrats on the interview DocG. Very impressive financial achievements. The results are not typical of a primary care physician so it goes to show that an unconventional route can lead to unconventional results. Bravo. Also, you have a great blog with some fantastic stories and mad writing skills. Thanks Millionare! Makes me think about your post on Ladders! Well done DocG, good interview. Also interested in how you made it through medical school without debt. I love the dialing back for family time. I’m ~ four years behind you in age, and the age of my children, and 45 is when I want to dial back to be with them. Not too dissimilar to you. Are you planning on doing more trips now? If so, where? I don’t want to add links here, but go to my first ever blog post called Irony and Life Insurance. I’m sorry for your loss at a young age. That he had the foresight to have sufficient insurance and that your mother invested it the way she did is phenomenal. And, it appears to have paved the way for yours and your brothers success. Interesting read; my husband is nearing retirement, is an anesthesiologist. His income is less than yours but doubled half way through his career ( reimbursement formula increased, thank goodness). We have 3 grown children, and I never had a career once the kids were born. Looking at your net worth, I can see how my staying at home has affected our net worth (although I always knew it did). We live below our means also, so have been able to save at 50% savings rate. We do not travel much at all except to visit family, and our home is worth about $300,000 after living in it for 30 years! However we have pumped about $800,000 into our children for education, summer camps, high end internship housing, bar mitzvahs, braces, enrichment classes, etc. etc. The list goes on. So we had to have about $1,500,000 to spend the $800,000. When I saw your net worth I felt badly about ours, since we are savers. Guess our income just didn’t quite match yours, and you have not spent the big bucks yet as your children are still young. Just wait! The money begins to fly out the door. It has only been the past few years that our savings has been kicked up a notch since the children are grown, but the youngest is in process of applying to medical school, and we want to at least pay for the first few years, maybe let him take out loan for last year. Will see; just hoping he gets in. Thanks for your transparency. Hey Ellie. It sounds like you are doing great! Our success is a mix of luck, hard work, and timing. Net worth is only a number. It has nothing to do with the other thousands of things which you are! Good to see you here chatting with ESI Money! 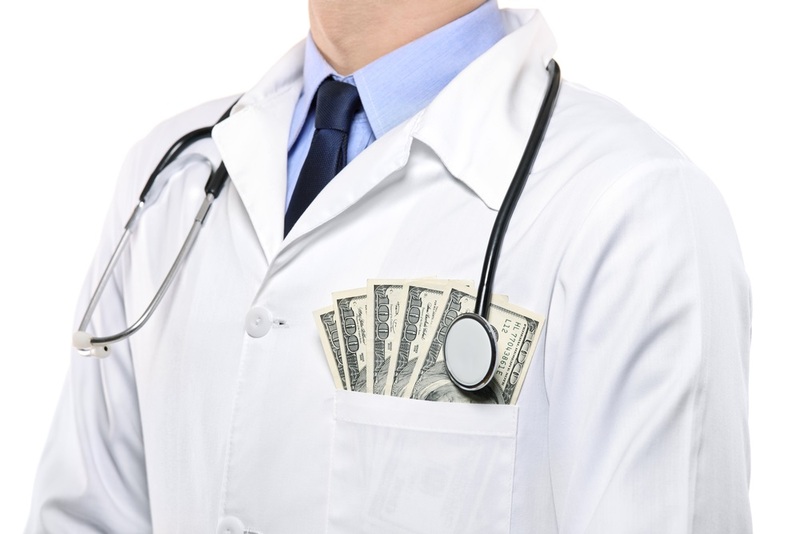 Your income is remarkably high for an internist (and quite a bit higher than mine, even when I was working full-time as an anesthesiologist), and I point that out for two reasons. For the general public reading this, $600,000 is double to triple what most internists earn. For the physicians who say they struggle to get ahead, your income is an example of what’s possible by thinking and working outside the box and really hustling. Thank you for sharing your story and numbers here. Great interview Doc G! It’s always great to hear how physicians like you achieve wealth, financial independence, and a meaningful life! Keep up the fantastic work on your blog. You are an inspiration and I think all young physicians like myself can learn a lot from you. Thanks! Thanks. And thanks for reading and commenting! Nice to see you over here, Doc G! 🙂 I hope you are able to dial back your work schedule and spend more time with the family. One of my regrets is being too driven to succeed in my own business when my kids were teenagers. Luckily they still turned out pretty good. Coincidently my daughter is an RN working for a hospice organization. I don’t know how you guys do it. Much respect! Thanks Amy. I’m definitely slowing down. Kids are 13 and 10 so getting to those critical ages. Great Post Doc G. I notice that you are another doctor worried about health insurance if you fire. I just did a post on health sharing organizations. 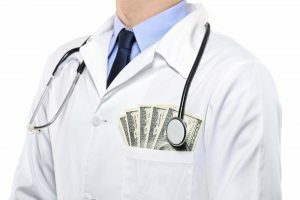 My blog is doctoroffinanceMD.com. So far one commenter has actually used one. He is a retired anesthesiologist. He was positive. Thanks Hatton. I’ll check it out! Thank you DocG for opening up with all of the details of your life and finances. I really am inspired by your commitment to your family and your patients, and the way that you have managed to find work/life balance. And still write a blog post every day! It is interesting to me how your are thinking about the inheritance issue. I like that you want to follow the lead from your grandparents. It is clear that what you are “giving” your kids is much, much more. They are lucky to have you. Now go and find a way to join them and your wife on those interesting trips. Go! Thanks Susan! Now if only I travel hacked! Was with you until the support of the ACLU. I love these articles, hearing from those that have made it to the two comma club. One question: Are you struggling at all to take your foot off the gas? My personal experience (and with others wired the same way) is its incredibly difficult to do, even if you know all of the benefits. You must have a high motor/drive both to get through medical school / residency, then choose to work that much more to drive your income into the very high six figures. I hope this interview also shows the readers that you win twice by busting your rear early in your career: Your human capital is worth more because of your skills/reputation/network AND you get the compounding interest effect of earning and saving those dollars earlier. Yes. Totally struggling! I write about it often on my blog. Thanks for providing answers I can copy and paste into a future interview. Just kidding! Nice work my friend. I wouldn’t mind being closer your number, but I have few complaints where we’re at today. We actually have a lot in common, I also manage doctors in medical service facilities. One thing Im doing differently is that, instead of staying in the clinics to see patients 5 days a week, I hire associates. As long as you have a right system in place, the business should be able to run itself, and I’ll just have to supervise from far away. We shouldn’t be working more than 10 hours a week after we turn 40 years old 😛 I also invest in rental properties, which supplements my healthcare business perfectly. Good luck Mi-47!